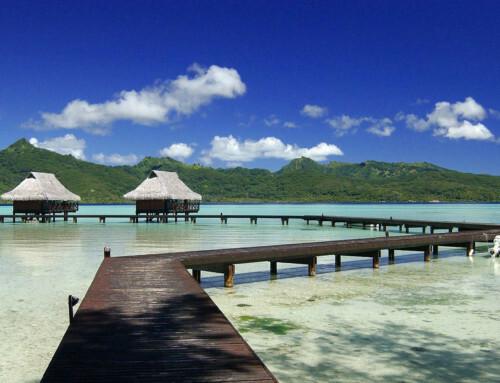 Located by the mountain-side, the Rohotu Fare Lodge in Bora Bora is surrounded by lush vegetation, a good place for a peaceful stay. 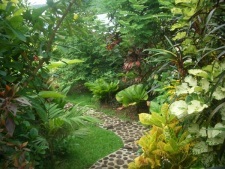 The various varieties of fruit and exotic trees planted around the bungalows give a feeling of true intimacy. The Rohotu Fare Lodge is built quite high up giving a panoramic view of the bay of Povai, the lagoon; and the sunsets are incredible to admire here. 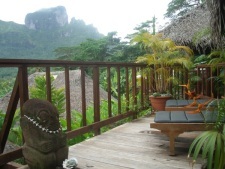 This adorable boutique lodge provides bungalows with view on the lagoon or the mountain. 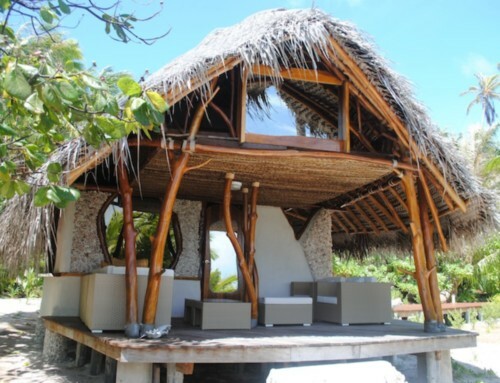 Each one is entirely made with exotic tropical wood (coconut, teak, mahogany) in a typically Polynesian style. 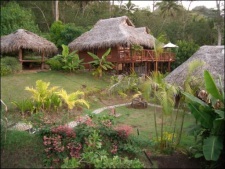 With their own design, these bungalows are in perfect harmony with the botanical garden surrounding them. 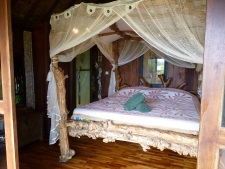 The interior’s furniture reflects the exotic environment of the Rohotu Fare Lodge with great teak four-poster beds, each with a mosquito net. You may also find in the se bungalows a carved wooden trunk which evokes the good olden days. A ceiling fan, a safe, and a small equipped kitchen add a touch of modernity to these Polynesian bungalows. The toilets and shower are as big as the living room, the floor is covered in marble and they are embellished by a private garden. The external shower – in the shape of statue, adds charm to this cocoon of peace. 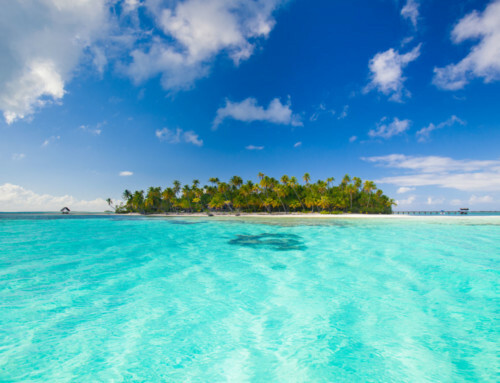 For romantic couples, make your stay at the Rohotu Fare Lodge a fantastic journey by having a traditional wedding ceremony on a Motu, enjoy a Polynesian dance show, or some champagne. 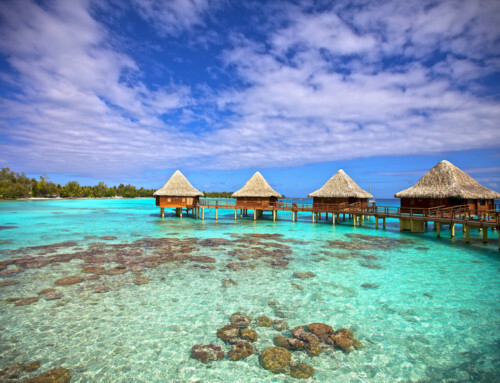 These are the services, among others provided by the Rohotu Fare Lodge in Bora Bora.